Attend Harlem Focus May 8 by Cooper-Hewitt National Design Museum | HarlemGal Inc. 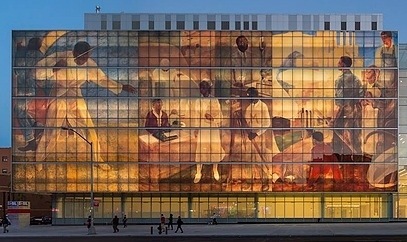 The museum will feature a series of talks curated and led by architectural consultant and Harlem historian John Reddick at the Cooper-Hewitt Design Center. Interested in attending? Tickets are $10 for non-members and free to members and students. Click here to purchase tickets. This entry was posted in 110th Street, art and culture, Central Park North, Community, education, Events, Harlem, Harlem blogs, New York, New York City, NYC and tagged 10026, 111 Central Park North, architecture, arts, cooper hewitt national design museum, Cooper-Hewitt Design Center, Harlem, Harlem Blogs, illustration, john reddick. Bookmark the permalink.